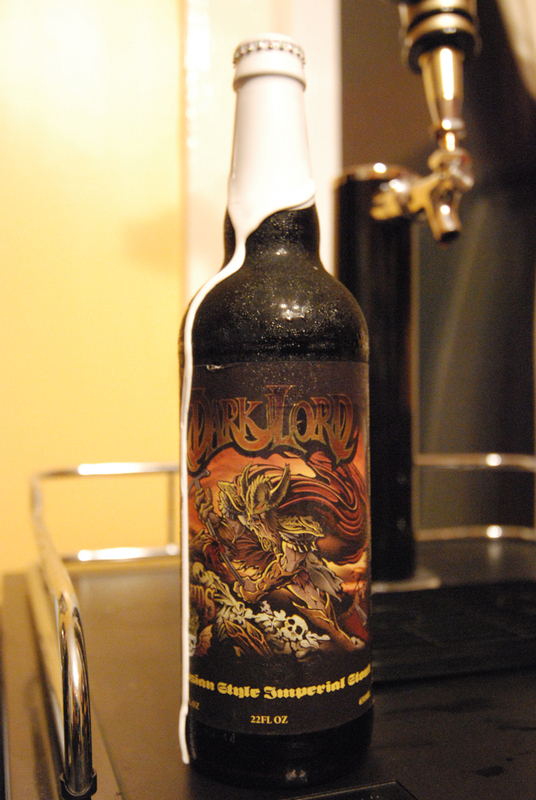 With the 2009 Dark Lord Day still on their minds, Brad Chmielewski and Ken Hunnemeder decided to open up a bottle of the Three Floyds Dark Lord. 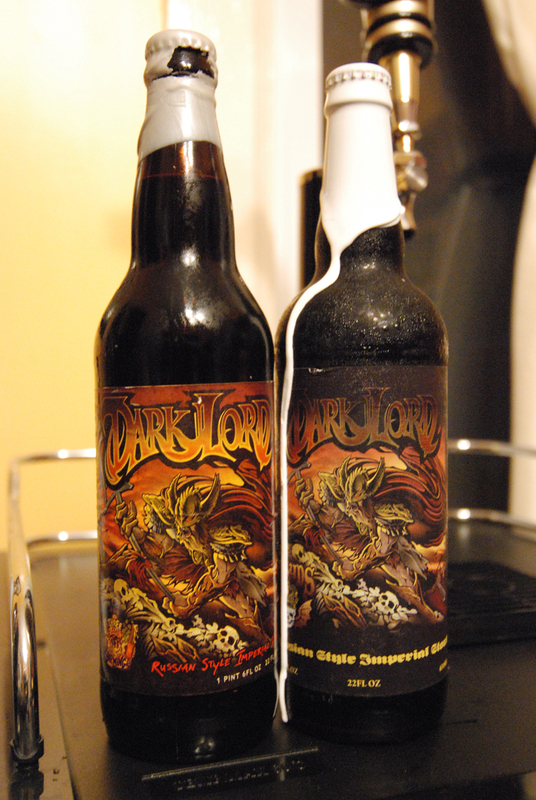 They wanted to make this episode even better so Brad pulled out a 2008 Three Floyds Dark Lord from his cellar. 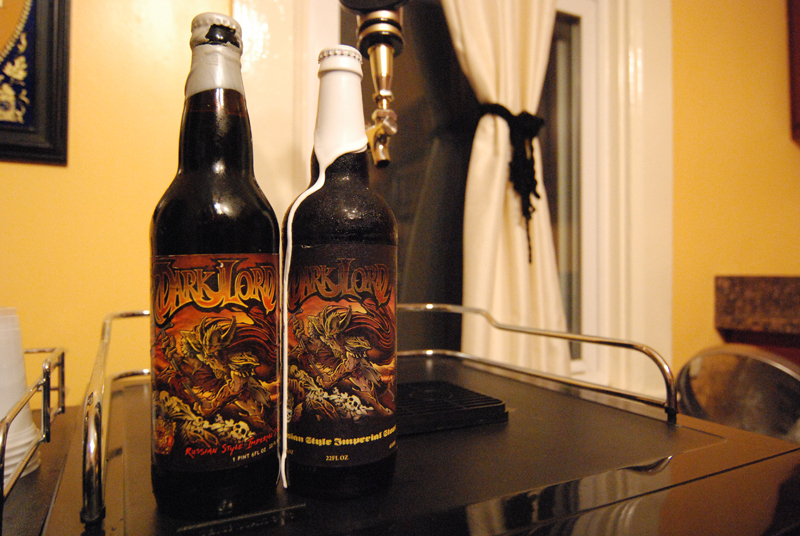 The two of them have the honor to sample both a 2008 and a 2009 Three Floyds Dark Lord. They take a look at what makes both beers unique and how the 2008 holds up to age. 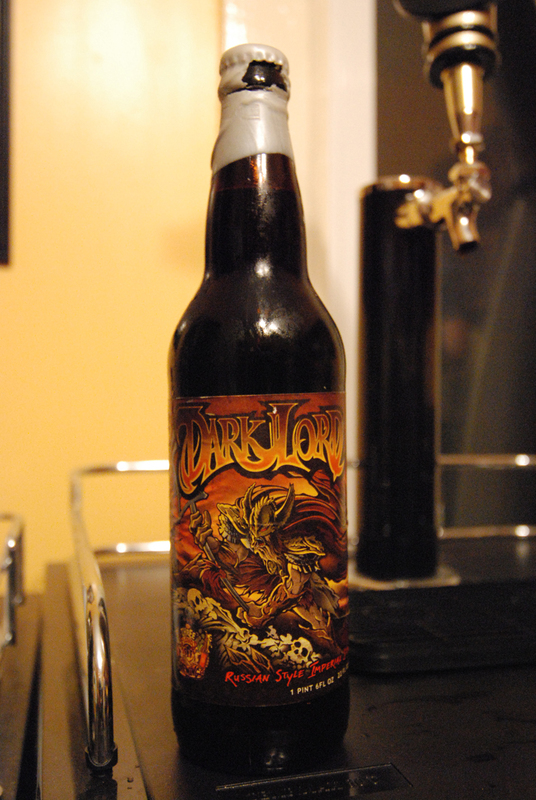 They also share with everyone the events that took place at the 2009 Three Floyds Dark Lord Day. Download the Podcast (179.8 MB). wow, you guys have a freezer under that table? Is that a freezer/coffee table? Rad! A freezer coffee table, that sounds like a good idea.